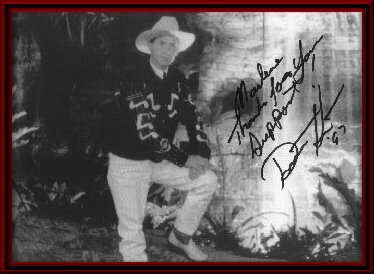 Dustin has won several contests as a Hank Williams Sr. look-alike but his talents lie far beyond his "look". While maintaining a persona which has brought him the attention necessary to "make it" in today's world of country, he has managed to also retain his individuality when singing his own music. An easy, flowing voice, much in the style of Ray Price or Don Williams...but that's the only resemblence...he is striclty Dustin...true to his music and his roots. More and more country singers as well as fans are returning to the roots of the music. Ask any leading star who their major influences in country were and you'll get answers such as, Lefty Frizel, Ray Price, Hank Snow, Hank Williams Sr., George Jones, Willie Nelson, Waylon Jennings, Buck Owens (Dusty's favorite), and the list goes on. We are fortunate in this era to have the best of all cultural and musical genres influencing the wide varieties of country music. Much like the clothing industry has taken on the "every generation is in" look, from the 40's to the 90's, the same can be said for the flavors and styles of country music. From the newest form of country to the oldest of the traditional sounds, anything goes. I think this versatility is what has brought an entire new audience to country. It is also the resurgence of traditional country that allows everyone the opportunity to realize the history of country music. 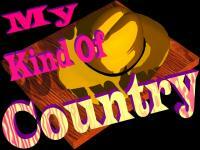 It allows the new country fan to understand basics of where these new sounds were originated. In turn, it reminds the traditional country singer or fan of where we come from as well as where we are now. Dustin Hunt is one of the finest examples of the young holding on to tradition; the roots of country music. Whether he is singing an old Hank classic or one of his original works of art, what you hear is pure traditional country, heart and soul; a reminder to some of us, and an opportunity to realize what country is all about to this vast new group of listeners. History has always served us well in understanding today. In this respect, Dustin is an excellant history teacher. 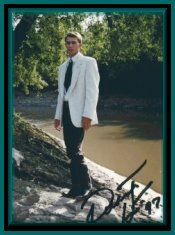 Please visit Dustin Hunt for all the latest information, bio, pics and more. 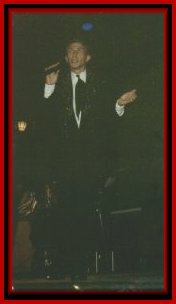 Dustin is featured as one of the Top Ten Artists of 1997 on Radio ETC. Our Thanks to Rodger Moore for creating this site showcasing the Top 10!